The Traditional Plan is hardly traditional. Its key provisions, designed to hold progressive annual conferences accountable to the Discipline, would undermine the central, long-standing authority of the annual conference (which dates from the historic 1808 Baltimore General Conference) and would have grave consequences, including a dramatic increase in church trials; hurdles that would make it harder for annual conference leaders to resolve complaints informally, even complaints having nothing to do with homosexuality; mandatory and severe minimum penalties of one year suspension without pay for a first offense; and new provisions for appealing the decisions of church trials beyond the annual conference on certain rulings of law and fact, not just process, which is a radical change. Again, this provision would apply to church trials generally, not just those relating to homosexuality. The authors of the plan didn’t set out to make radical changes; these are the unintended but entirely predictable consequences. The Connectional Conference Plan has the benefit of being so complex that hardly anyone understands it! (Our Arkansas Bishop is the rare exception, I am proud to say.) Its biggest disadvantage is that it requires not only a 2/3 vote of General Conference but also a 2/3 aggregate vote of all persons voting in annual conference sessions. That’s a high bar for a complex set of legislative changes that few people fully understand. 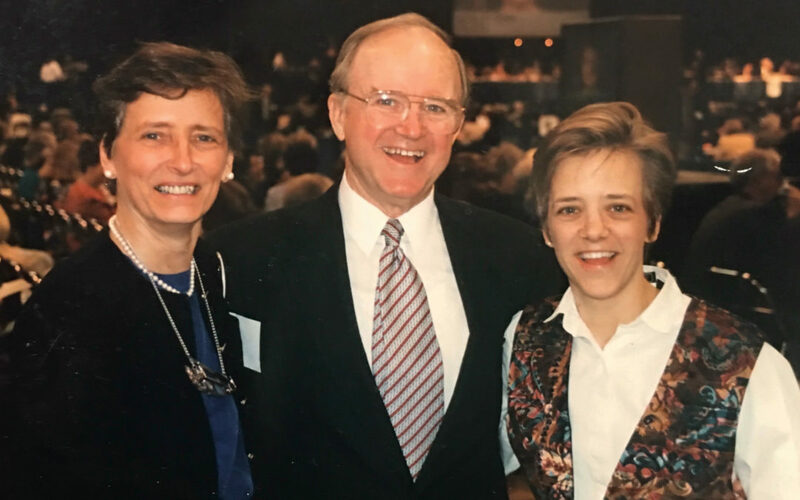 As much as we miss our dear parents, my brother, sister, and I regularly say to each other “Aren’t we glad that Mom and Dad are not alive to witness this General Conference. It would break their hearts!” But the more I think about it, I see how wrong that is. This General Conference and whatever emerges from it would never break their hearts; they weren’t so fragile as that, and neither are we. If our parents were alive, I know what they would be doing; they would be going about the ministry and mission of our church. They would be making a case for whatever position they judged best, praying hard, and then working to mend relationships and move forward again toward our shared mission which, frankly, is the only reason the politics ever mattered to begin with.